Light Planes at Rhon: The Baumer Aero "Roter Vogel" (No. 74) is fitted with a Douglas engine mounted in a somewhat unusual position. 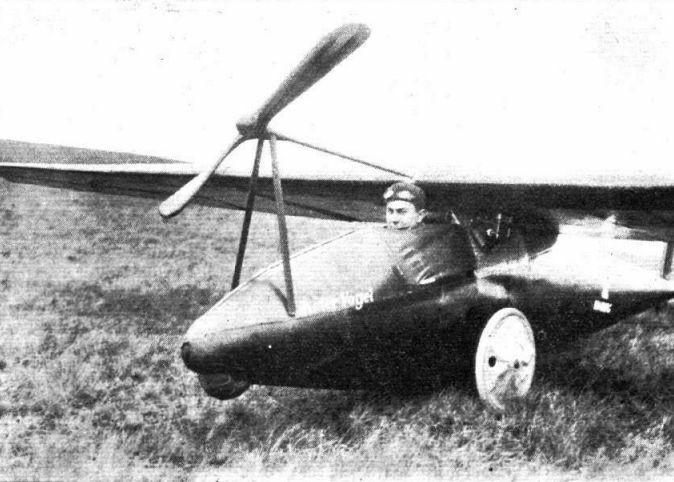 The machine is of usual glider type, and the placing of the engine, with long shaft to tractor airscrew, has evidently been chosen to obtain correct trim. 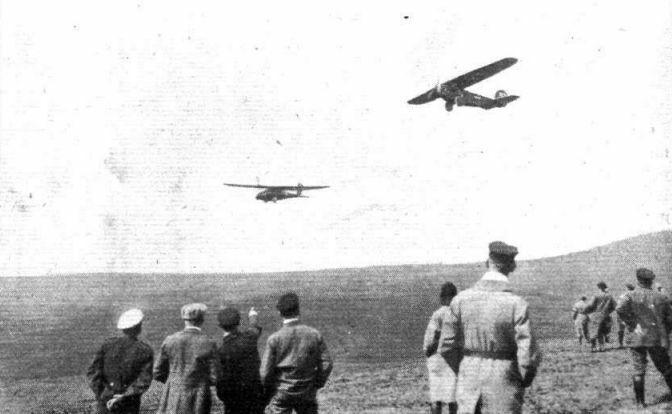 The Udet "Kolibri" and the Baumer "Roter Vogel" in the air together in the Rhon.